Home Entertainment Celebrity News ROZAY IN COURT, WANTS BAIL. ROZAY IN COURT, WANTS BAIL. 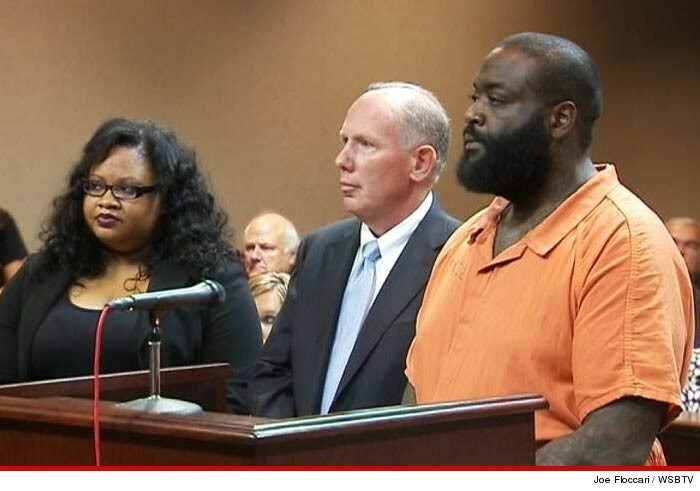 Rick Ross, tired of jail perhaps, was in court yesterday asking for bail. The rapper who is being charged for kidnapping and assault charges has been in jail for seven days as his case awaits hearing. When he was in jail last time for a misdemeanor pot bust, he was quickly released on bail and tweeted that he had bailed out ‘some real n***s’ he found there. This time though the prospects are as the victim is allegedly eating through a straw and has two chipped teeth. Additionally, the judge, who is yet to give a ruling, is treating this as a no-bail case so that will not work well to his favour either. In his former life, Ross used to be a correctional officer. Since his foray into hip hop, however, he seems to be going back to his former workplace alot under different circumstances. What goes around comes around? Next articleKLOTHLINE254: A BLEND OF AFRICAN, ELEGANT AND OH, SO TRENDY!